Hooray! 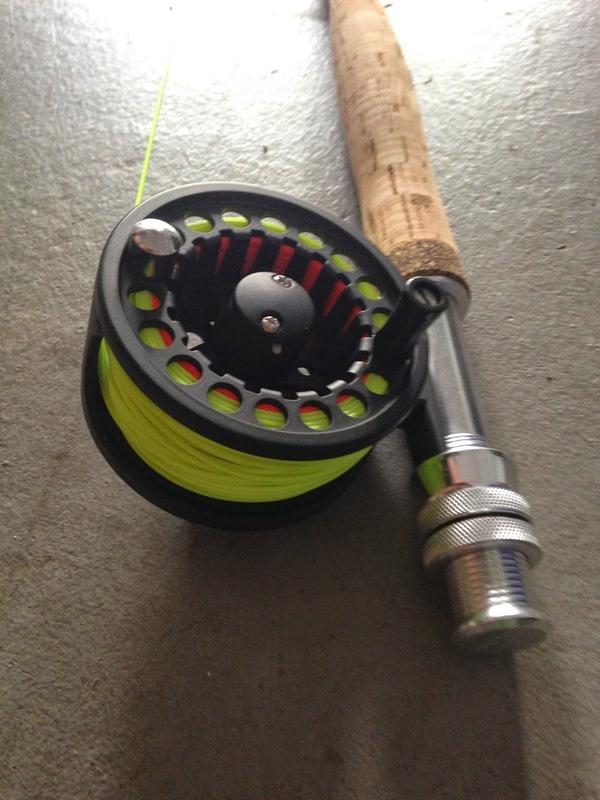 Yesterday I got my fly gear in the mail, and it wasn't an hour before it was ready to hit the water. 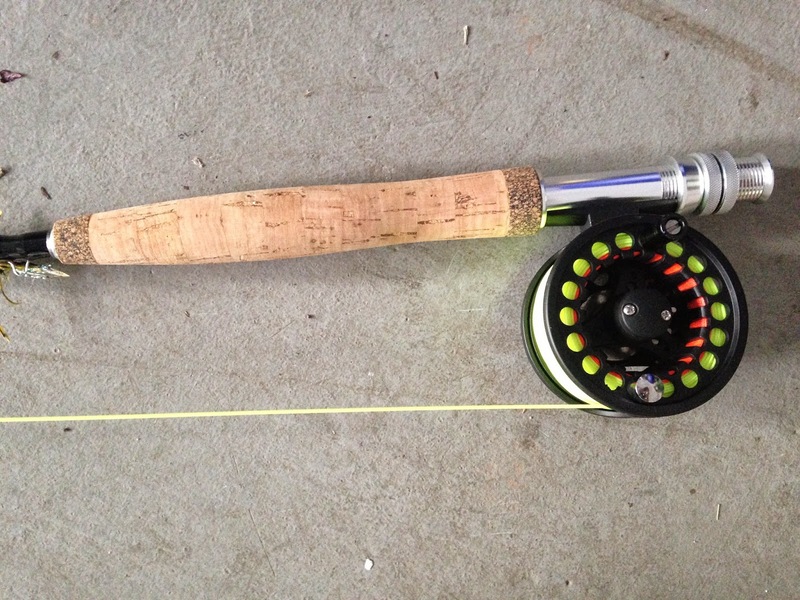 My set up is a 5/6 wt combo from Wild Water Fly Fishing. It isn't Sage or Orvis, but at $104, it's a high quality rod and reel at a price that can't be beat. 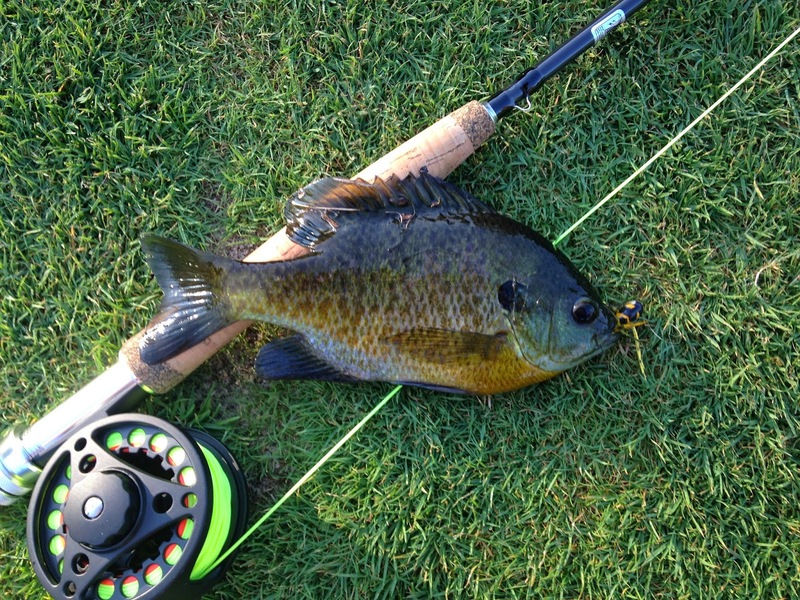 So I rigged it up with a panfish popper and headed off to the local golf course. 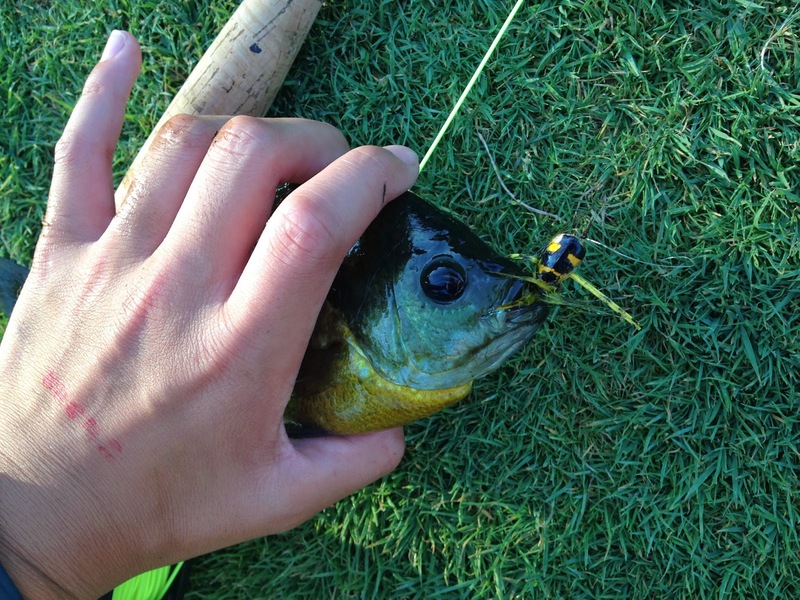 I attempted to catch fish and practice casting (my skills are pretty low), and in a couple hours, I only got strikes from about 10 fish. 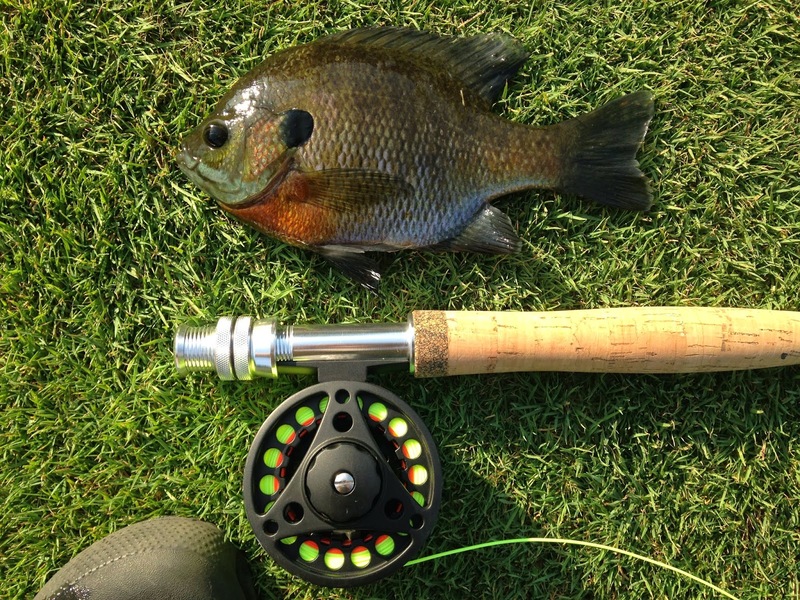 I only hooked 3 and landed 2, all bluegills. 20% fish landed is pitifully low.